Khajak Keledjian is on a mission to disarm anxiety and build clarity to entrepreneurs. The year 2013 was a big one for Khajak Keledjian. He’d sold his luxury apparel company Intermix to Gap for a reported $130 million, got married and went to Burning Man. After walking into a temple, Keledjian saw other Burners meditating and having reflective moments. “It made me think, ‘Why aren’t there places like this to have a similar experience in big cities like New York?’” he told Entrepreneur. “The following November my father got sick while he was visiting Armenia. I went there to be with him and I also visited third-century monasteries built inside caves. They were bathed in candlelight and in this environment, my senses were heightened,” Keledjian recalled. Again, he was left with a desire to bring the quiet and tranquility back home with him. So he went for it. 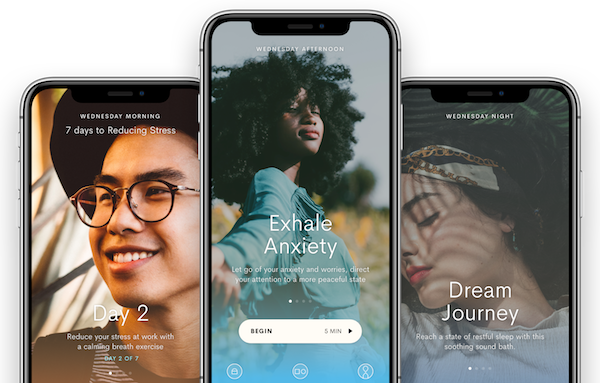 The result was Inscape, a New York City meditation studio and shop, app and ecommerce site, that he founded and serves as CEO of. Keledjian cites some pretty telling statistics when asked about the health and wellness market he's now working in. Keledjian said it is his company's mission "to inspire people to connect with their best selves and live life to its fullest potential." Here's how he says meditation can help do that. 1. It helps with problem-solving. 4. It helps you find clarity.